A mother whose son suffered severe brain damage after he was given the controversial MMR vaccine as a baby has been awarded �,000 compensation. 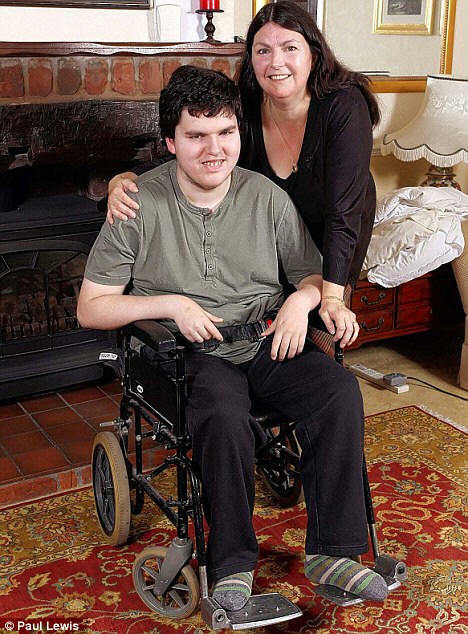 Robert Fletcher, 18, is unable to talk, stand unaided or feed himself. The Department of Health had always denied that the jab was the cause of Robert抯 disability. Robert抯 mother Jackie said the money would help with his care, though she described the amount as 慸erisory�. Her first application for compensation under the Government抯 Vaccine Damage Payment Scheme was rejected in 1997 on the grounds that it was impossible to prove beyond reasonable doubt what had caused Robert抯 illness. In a six-page judgment, they said: 慠obert was a more or less fit boy who, within the period usually considered relevant to immunisation, developed a severe convulsion... and he then went on to be epileptic and severely retarded. 慣he seizure occurred ten days after the vaccination. In our view, this cannot be put down to coincidence. 'It is this temporal association that provides the link. It is this that has shown on the balance of probabilities that the vaccination triggered the epilepsy. The ruling will reignite the debate over the safety of common childhood vaccines, although it makes clear that Robert抯 case does not involve autism. But Mrs Fletcher said she believed the compensation award to Robert was the first to a surviving MMR-damaged person since controversy erupted in 1998 when the now discredited Dr Andrew Wakefield raised concerns about a possible link between the combined MMR injection and autism. He has since been struck off the medical register. Figures released in 2005 under the Freedom of Information Act revealed that tribunals had paid out �5 million over the previous eight years. The Department for Work and Pensions, which administers the Vaccine Damage Payment Scheme, said: 慦e do not hold any information on how many awards have been MMR-related. 'It is not a requirement when a case is being assessed for the medical adviser to state which vaccine the damage has been attributed to. His work has since been discredited and earlier this year Dr Wakefield, who has moved to America, was struck off the medical register after the General Medical Council ruled that he had acted against the interests of patients and 慺ailed in his duties as a responsible consultant�. Robert Fletcher does not suffer from autism. 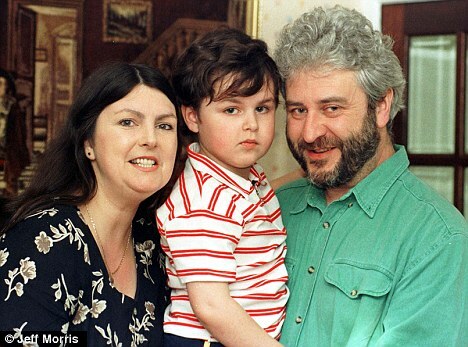 But Mrs Fletcher, from Warrington, Cheshire, said the ruling would give hope to hundreds of other parents fighting to prove that their children抯 disabilities were caused by the MMR injection. Mrs Fletcher set up and runs pressure group JABS - Justice, Awareness and Basic Support. Around 2,000 families seeking compensation for their vaccine-damaged children are registered with the group, which provides advice and support. 慚y husband John and I have battled for 18 years for the cause of Robert抯 disability to be officially recognised,� she said. 慦e were told the vaccine was perfectly safe. Like most people, we trusted what the doctors and nurses were putting to us. 'Robert is nearly 19 but mentally he is like a 14-month-old toddler. He can抰 stand unaided and he is doubly incontinent. 'He can抰 speak except to say 揌i, Mum� or 揌i, Daddy�. 慦e chop up his food and have to anticipate all his needs. He is prone to various illnesses and last week suffered around 40 severe epileptic seizures. 'In April this year, we thought we抎 lost him. He contracted a chest infection and had to go to hospital for several days. 慔e is such a lovely boy. When he抯 not ill, he抯 so cheerful and seems to take everything on the chin. In between seizures he says 揌i, Mum� and tries to kiss me. 慣he money is a derisory amount though it will help with making adaptations to the house for Robert抯 benefit. The first doctor who assessed Robert under the compensation scheme in 1996 concluded that he had suffered a 憇imple febrile convulsion with no long-lasting consequences�. Although he agreed that Robert had a degree of disability, he refused to accept that the MMR vaccine was to blame. At this month抯 appeal, evidence was given by a leading expert on vaccine-damaged children, paediatric neurologist Dr Marcel Kinsbourne. He explained the biological changes which had occurred in Robert抯 brain following the vaccination. In a dissenting judgment, Professor Lingam said he believed Robert was 慻enetically predisposed to epilepsy and that the vaccination triggered it rather than caused it. 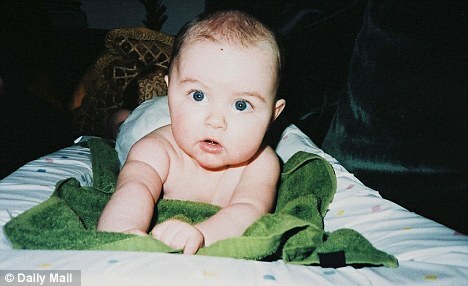 'Robert would have developed epilepsy in any event, even if he had not had the vaccination�. In their final judgment, they accepted that MMR had caused Robert抯 illness but added: 慦e would stress that this decision is fact-specific and it should not be seen as a precedent for any other case. Last night, Tory MP Nadine Dorries, a member of the powerful Commons Health Committee, said: 慖f an independent panel has reached the conclusion that there has been a link between the MMR vaccine and the brain damage suffered by this boy in this case, then it is fair to assume that there could be as many as thousands of children and parents in the same position. Dr Michael Fitzpatrick, a London GP whose own son is autistic, said: 慖t is a very important principle that parents should be compensated in cases of this kind. The Department of Health said: 慣his decision reflects the opinion of a tribunal on the specific facts of the case and they were clear that it should not be seen as a precedent for any other case. For MMR campaigners, the Robert Fletcher ruling is a small but significant milestone in their efforts to prove that the vaccine is not safe for a few children, even though the Government insists it is and that serious reactions are rare. The triple jab was introduced in 1988, and has been given to millions of children as part of their vaccination schedule, which includes inoculations for 12 diseases. The vast majority of children suffer no more than redness and swelling around the injection site or a fever that can be easily treated. But a small number suffer serious reactions. The official figure is one in a million, but campaigners believe that is an underestimate. Up to 2,000 parents remain convinced their children have suffered significant harm from MMR but have been unable to prove it. This new decision will give them hope, even though compensation panels do not officially recognise autism claims. Campaigner Polly Tommey, who edits the magazine The Autism File and believes her son Billy is autistic because of MMR, says: 慣his is fantastic news. Now doctors can抰 tell me that the MMR is safe. and not autism, and you have to ask why. Parents have tried to get the medical profession and the Government to investigate their claims that MMR damaged their children but have failed so far. A group of parents brought a case in 1993 which was blocked after their legal aid was withdrawn in 2003. They claimed for various injuries including autism, Guillain-Barre syndrome, epilepsy, sensorineural deafness, diabetes and arthritis. Robert抯 mother Jackie Fletcher, who set up the vaccine campaign group JABS, is one of a group of parents who continued to fight. His compensation comes 12 years after the London-based paediatrician Andrew Wakefield claimed a link between MMR and autism. 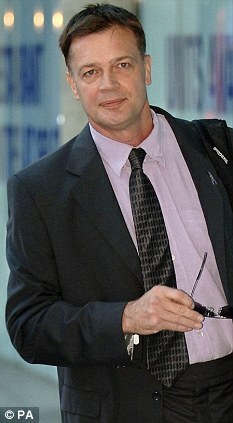 He was struck off this year after the General Medical Council judged his research to be flawed. Claiming compensation for any vaccine-related disability is notoriously difficult. Mrs Fletcher said: 慜nly one in 200 parents who applies to the Vaccine Damage Payment Scheme is successful in receiving compensation. In America, 4,000 parents are claiming compensation for MMR damage, but again the courts will not officially look at cases where autism is mentioned. However, cases involving autism do slip through the net. Bailey Banks, who suffered seizures 16 days after receiving the MMR jab and was diagnosed with pervasive developmental disorder, an autistic condition, was paid compensation. So was Ben Zeller, who suffered seizures, while Hannah Poling, who is autistic, was paid in secret. Another 1,820 cases of brain damage caused by vaccines in the U.S., including MMR, have been settled in private. Mrs Fletcher hopes that the 2,000 families registered with JABS will be awarded legal aid to continue their cases. She says: 慦e plan to talk to our MP Andy Burnham about the anomalies in the Vaccine Damage Payments Act, the main one being that you can apply for compensation only if a child has died after the age of two. 'We have a number of children on our books who died younger after receiving MMR, but they are not eligible to claim. 'Most vaccines are given at two, three and four months old, so this rule makes no sense.